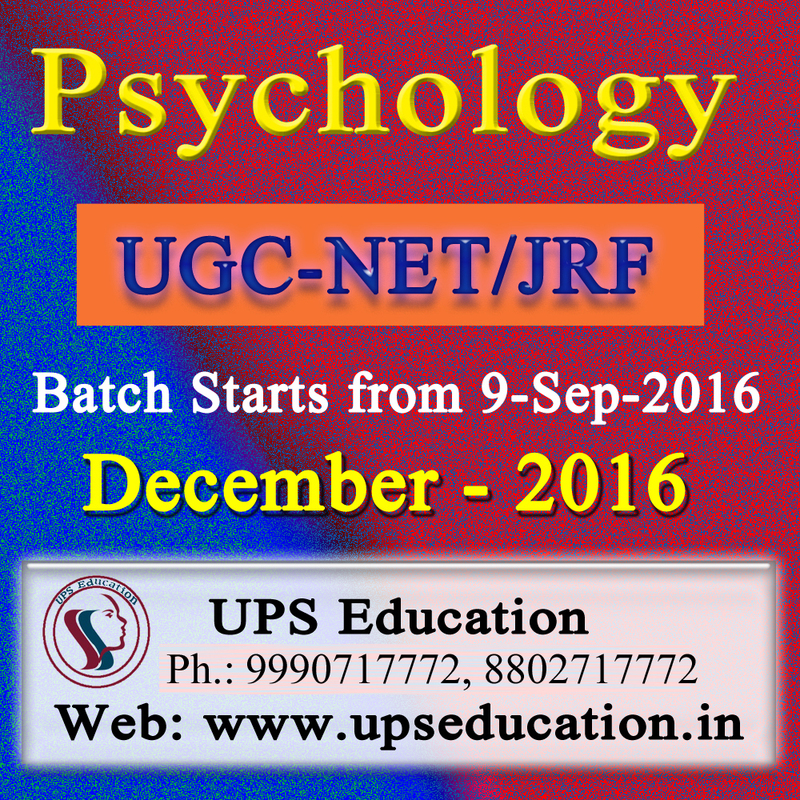 Dear UGC-NET/JRF Psychology aspirants this is the time where you need to focus on your study and accelerate you study if wishes to crack UGC NET/JRF Psychology Examination of January-2017, This year you have extra time to study because exam will be held on 22-January-2017 Instead of 25-December-2016. So wake up and start you study today with UPS Education. 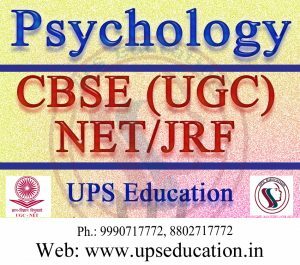 This entry was posted in best psychology coaching classes in delhi, Best Psychology Institute, NET Psychology Coaching, UGC NET Psychology Coaching and tagged net january exam, NET Psychology, ugc net psychology on September 26, 2016 by UPS Education. 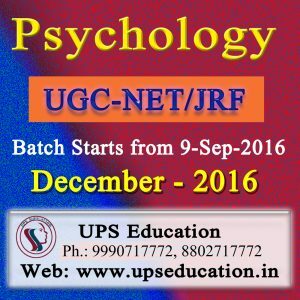 Are you preparing for UGC-NET/JRF Psychology? And from those who default to clear their exam by few marks? Did you ever think why did you not receive a positive result after your hard work or full on attention on your preparation? No doubt you are a good learner; so you may reach very near to clear your exam. 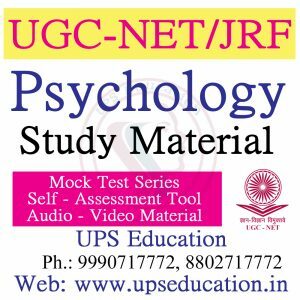 You can clear UGC NET/JRF Psychology exam with help of a right gaudiness, UPS Education has designed a sophisticated Study material especially for you, and our study material is very exam oriented. Our team of faculty revises study material after the every session of UGC-NET Examination; we add on or exclude all necessary topics after the revision of Study material. 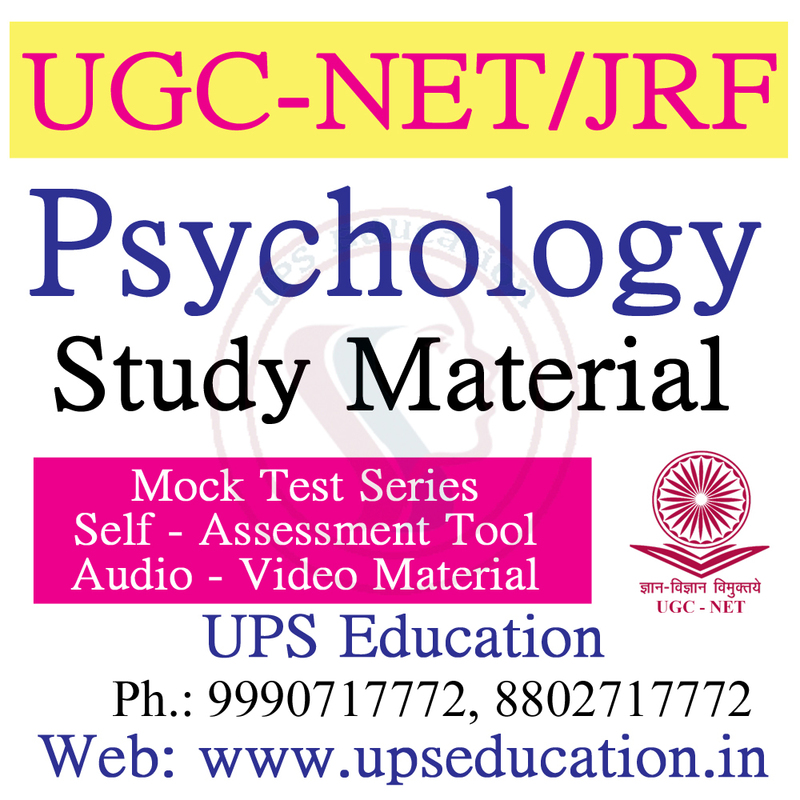 So our study material is very useful for those students who want to clear UGC-NET/JRF Psychology Exam. This entry was posted in psychology coaching class on September 8, 2016 by UPS Education. Dear students, UGC-NET/JRF Psychology exam is now very close for December session, it’s time to speed up your study with the accuracy, it’s time to work hard and time to focus on your study because you have less than 90 days left for your preparation, so what you waiting for? We are staring a new batch from 9-September for December -2016 examination. Come and enhance your change with our gold medalist faculty. 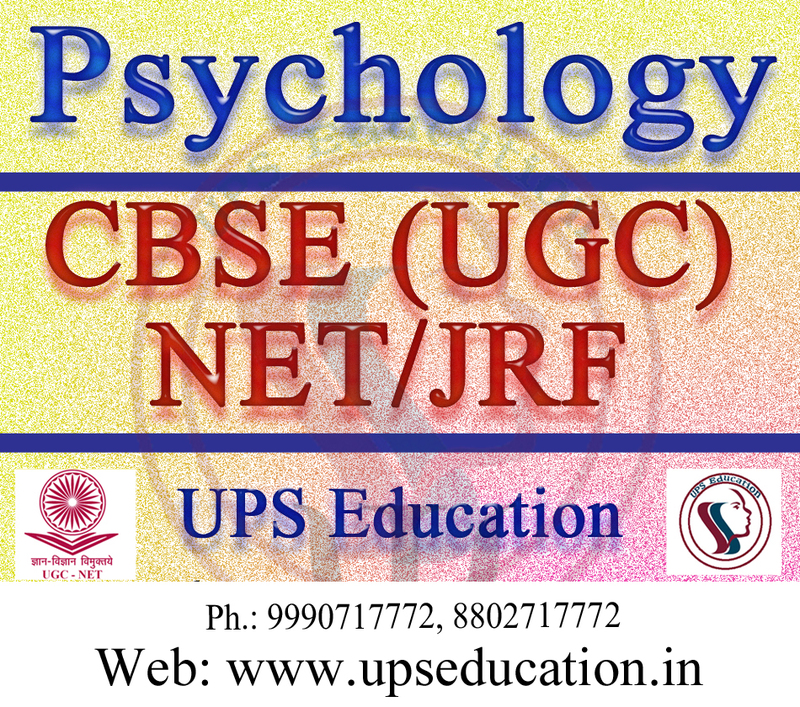 This entry was posted in approaches of psychology, CBSE NET Psychology Coaching, NET Psychology Coaching, UGC NET Psychology Coaching and tagged best psychology coaching for net, cbesenet, net, net coachinmg, net jrf, NET Psychology Coaching, Net Psychology Study Material on September 6, 2016 by UPS Education.